Studio vs. Home Systems: Which Provides the Artist’s Intent? There are three new studios nearing completion at the AIX Media Group building. Today, there’s a group of craftsmen preparing to spray the wooden doorframes and tomorrow insulation and fabric will be attached to the walls. It’s been a long and very detailed process but the new rooms are going to be gorgeous…to look at. But the space will have to be “tuned” with equalization and physical room treatments before the first mixes are begun. I’m not sure what type of monitors Brew Media will be securing for the spaces but whatever they choose, they will be studio monitors and not designed for use at home. 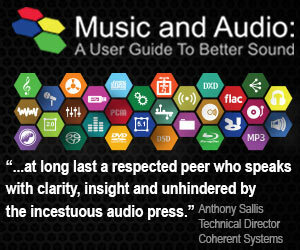 Why is it important for mixing and mastering engineers to hear accurate reproduction of the sound they are producing? Is the sound heard at the studio the real deal — the artist’s intent — or do high performance audio systems at home provide the best listening experience? Most of you know that my own mixing room is equipped with Bryston amplification and 5 B&W 801 Matrix III speakers. I also have a TMH Labs “Profunder” subwoofer for the LFE channel. I choose these speakers because they represent what an audiophile might have in their own home environment AND they sound wonderful. Would I choose these same speakers today? No. I would purchase 5 JBL M2 Studio Monitors, which are the most accurate and revealing speakers I’ve ever heard. I’ve had the pleasure of listening to a few of my favorite tracks through these state-of-the-art speakers at Harman International, at the NAMM show, and at Jungle Studios in NYC a couple of years ago. They are amazing! And they don’t cost an outrageous amount of money. They are accurate to the source that was captured by the microphones during a live performance or within the confines of a studio. When speakers designers stray from the ideal of accurate reproduction of the source dynamics, phase, and frequency response and inject their own personal “tweaks” to bend the sound away from what I heard coming through the speakers in my mixing studio, they may be pleasing their customers but they abandon the “artist’s intent” and certainly my preference. The sound that engineers, producers, and artists experience in mixing and mastering studios is what I want to hear as a consumer. What possible benefit would adding excessive bass or boosting the high frequencies have when “voicing” a monitor speaker? Believing that designing and building accurate sounding speakers is a wrongheaded denies the creative production expertise of the producers and engineers involved in crafting the music we love. It’s like thinking that expensive power cords or high-end interconnects and speaker cables — which are not routinely found in professional audio studios — should be employed to “refine” the sound of your system. As a recording engineer and music producer, I want you to hear what I hear in my studio. It doesn’t get any better than that. It doesn’t get better if I swap out my power cords, it doesn’t get better if I process my files with MQA, and it doesn’t get better if I convert my files to DSD 512. The sound coming from my speakers in my studio is the ultimate representation of my recordings. Feel free to add reverberation or boost the high frequencies in your own system but know that are altering the original source to your own personal preference. The engineers and producers that work in the 8 studios in this building use PMC, ATC, M&K, and of course, B&W speakers. They creatively mix and master music for movies, albums (the new Colbie Caillat single is being mixed here on ATCs), and high-resolution audio files. And we all desire accurate delivery of the tracks that exist on the multitrack master not some idealized version that some high-end speaker designer or audio reviewer believe sounds best. These people should make an effort to visit professional studio and get a taste of production reality. Your reproduction system and the environment in which you listen to it are among the most important things in listening to and enjoying well-recorded music. Don’t be led astray by those that promote personal flavors of compromised sound because they think that their marketing people will be able to capture more sales. I have to agree with you. I am inclined to like more bass, probably because when I grew up, it was all but missing on recordings or equipment capabilities. You are in a unique position to know what ” Real ” music sounds like, being in the studio so much. I have had to acclimatize to real fidelity. I don’t think attending concerts helps much, as there is so much noise & the sound seems manipulated. A Linda Eder concert in San Francisco was an exception to that rule. The CD was decent, but nowhere near the concert. I certainly agree with this article. The notion that “home speakers” should have a pleasing sound defies the very definition of Fidelity. The quote below from my Audio Expert book explains my philosophy. I’ll also add that all rooms used for production or home listening need serious bass trapping plus other acoustic treatment. Even rooms with “ideal” dimensions require serious treatment. Good dimensions merely spread out the inevitable bass resonances so they don’t pile up at the same or nearby frequencies. But you still have peaks and deep nulls, and ringing that emphasizes some bass notes over others. Simply sticking foam or thin rigid fiberglass on the walls and/or ceiling behind fabric is not sufficient or even advised. If you think the sound that comes out of any of these machines resembles the sound of real music you are either deaf, delusional, or lying. Who cares what the recording engineer liked? Why are his or her preferences better than anyone else’s? The original challenge of accurately recreating the sound of the world’s greatest music from a recording has beaten the best efforts to a pulp. They no longer even pretend. The people who worked at it weren’t up to the task. So now we have a new best speaker in the world for this month in a few people’s opinion. In a few months it will be replaced by something else that produces an equally poor facsimile of music. Even the word music has been perverted and going to a concert where the sound in the concert hall is reinforced with electronic equipment means you might just as well stay home and listen to a recording. Music is dead and so is this technology. Worse yet, selling it by claiming superiority because it produces something you can’t hear when it can’t possibly reproduce what you can hear is fraud. Mark, you hold the sound of a live performance in an acoustically rich venue as the end all be all of the musical art. There’s a lot more to it than that IMHO. The sound that comes from high-end speakers or lowly in ear monitor is “real” music. You’re certainly welcome to limit your music experiences to live concerts but the rest of us can and do appreciate the creative assembly of sound/music art done in alternative ways. The commercial music business is not primarily concerned with the “original challenge of recreating the sound of the world’s greatest music”…and I don’t think that’s a problem. Sound artists and music producers can and should experiment with any means of crafting compelling compositions. The intent of the artists, producers, and engineers is what matters. The end result of their talents, expertise, and technical skills — the final release — is offered to an audience. It’s their collective art. As a person that has spent a lifetime perfecting my own art, I believe it matter a lot that listeners hear what was originally produced. The audio/music art has continually improved. Production technologies, new methods of creating and capturing sound have emerged, and new forms of distribution and reproduction exist. That doesn’t mean that everyone takes advantage of them…but it does mean the potential is there. You may not appreciate the efforts of people like myself but that doesn’t mean that accepting your very narrow definition is the rule by which we all should live is valid. That indeed would be fraud. Music is far from dead. We can argue all year about whether or not music, art, and TV are dead. The truth is that if you had the M2s instead of the 801s, your recordings would probably sound different than the ones you create now. Would that sound better or worse on my sound system? Better and worse are of course entirely subjective so one person’s better is another person’s worse. But they would sound different. They already sound different from everyone else’s. And there is nothing you can do about it with a high end audio system by today’s standards. There are no adjustments. If the speaker sounds shrill or boomy you can aim them differently, move them around. When all else fails you can throw a blanket over it….or put tissue paper over the tweeter the way recording engineers used to with the Yamaha NS 10 monitors. Not easy to move around If they weigh a few hundred pounds especially if they are on spikes. Having speakers that provide accurate reproduction above the traditional range of hearing would be a good thing…that’ why I would get the M2s. I would also have Bob Hodas come to my newly equipped studio and “tune” the room to be as flat as possible. He did that with the B&W 801s. Would they sound identical…probably not but they would be close. I advocate for a common standard for sound. To tune speakers means to use room treatments and signal processing (analog or digital or both). Then everyone that hears my recordings would hear them as I intend them to be heard. Mark, I am not posting to be perverse. My views are simply different from yours. If I had your room, your speakers, your equipment, and Bob Hodas came to my house to tune it exactly the way he tuned yours, I’d hear what you hear. But I don’t. In fact I’ll wager no one here does. And unless you have the exact same setup in your home, neither do you. Of the two types of recordings I’ve categorized them as, documented music and manufactured music, you create mostly or all of what I’d classify as the second type. That’s not to say it is good or bad but it simply is not intended as a duplicate of what was actually heard live at the time of the recording. Let’s say it’s like a photograph that’s been extensively retouched which photographers often do. There are no standards and that was my point. How could there be? While the electronics has gotten marginally better over the decades, the science of acoustics remains primitive. There’s also a lot to still be learned about hearing and how the brain uses what the ears hear. Of what little we do know, I’m not aware of any validly run scientific test that demonstrates having eliminated all other variables that including ultrasonic sounds in an end to end recording/playback system yields results that are detectable from those that don’t except to instruments used to measure them. I can appreciate that you have different views than I do on a variety of issues. As for the type of music that I have engineered and produced over the past 16 years…I would cast it as a hybrid approach. All the musicians play and sing a the same time and I don’t do any processing of any kind…simply volume and panning. There’s not a lot of commercial recordings being done using this approach. And I would also say that my goal is not to create a “sonic” documentary but rather an enhanced musical experience. I don’t “retouch” my tracks. Production standards wouldn’t be a good idea…but technical specifications might be. It’s challenging to get there…maybe impossible. But it’s a step in the right direction. What the consumer wants is an unadulterated reproduction of the original performance to which he/she can “salt & pepper” to taste. Obviously, speakers being analogue devices there will be imperfections. But we miss a very important factor, namely, the acoustics of the room. Hopefully, you will devote a chapter in your upcoming book (when is it coming?) to practical suggestions for home setups including wall and floor treatments. This article reads a bit like when my first girlfriend cooked me her very first meal (for her very first boyfriend). I chucked a whole heap of mayonnaise on it before I tasted it and she was NOT happy. I should have at least tasted it first… She went through all the effort in the kitchen to make it taste ‘just right’ and then I went and spoiled it all. Ever since then I make an effort of tasting the food first and then, if I feel the need, add condiments as I wish. To me, the same counts for music. It took me years to buy the system I have now because in high end there were virtually no (pre) amps that allowed me to adjust even basic bass and treble. I now have a Devialet amp that has that feature and I use it occasionally. And on the tracks that I use it I can tell you that I can’t believe the artist would have intended the songs to sound the way they do. A good example is the live albums (CD) of Bruce Springsteen 1975-1985. I’ve been to a few of his concerts and they are loud and with full on really tight bass from the drummer, who seems to really put his heart into it. The CD sounds thin and bright. The only way to enjoy them is to turn the bass up a fair bit and the treble down a bit. I see nothing wrong with changing the sound of a song. After all, I’m not listening to please the artist. The artist has recorded the song to please me. And if I feel the need to change what the artist intended so I can enjoy his/her work more then I will. It’s about taste and taste differs between people. And music is about enjoyment and should be ENJOYED. Not ENDURED just to please the artist. Thanks…I like the food tie in. Since we all hear differently, having a reference standard is critical in the production of recorded music, and the JBL M2’s are among the best. For my own critical, uncolored listening, I use KRK 10-3 G3 monitors—not as transparent as the M2’s, but close enough for me. I also listen to an old pair of bi-amped, EQ’d Polk RTi12’s with a sub, because sometimes what the artist and engineer intended isn’t exactly what I want to hear. Before anyone says that’s sacrilegious, I’ll point out that remixers (and remasterers, particularly when the original artist is no longer with us) take it much further, and often produce something better than the original recording. They often produce something worse, too. I’ve read the article with mixed feelings. Firstly, it is certainly true and useful that the engineer uses a standard reference. His aim should be to meet the artist’s intentions. But when playing the music at home, I have to take into account some factors that are not so easy to solve. If one has the opportunity to treat the room acoustically, as proposed by Ethan, I’m on the better side. The majority of consumers do not have that option because the stereo mostly is located in the living room. The size and the ground plan of the listening room also restricts the choice of the loudspeakers. Assuming that the components for playback of digital sources currently available are at very high levels, the tone of the playback in the highest degree is determined by the loudspeakers. 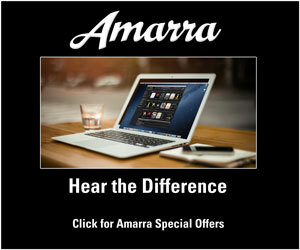 However, the same speaker does not always sound the same in different rooms! Thus, the consumer has to choose the speaker that meets his needs by sound, size and appearance most likely. Maybe there are situations where the usage of additional auxiliary components like equalizers are necessary. Last but not least – the selection of all components of a hi-fi system is also limited by the monthly income of the customer. 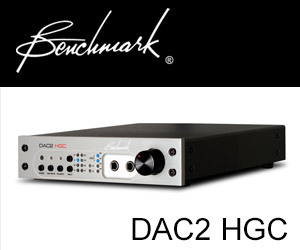 Many providers of so-called audiophile components make this point often overlooked. Not all customers can afford PMC, ATC, M&K, B&W or JBL loudspeakers or they don not even like the sound of them. I think listening to music should give pleasure. Of course, we’re talking about the ideal case…and nothing in a home environment is ideal. Good professional studios are designed by experienced architects, equipped with professional equipment, and tuned by skilled acousticians. Home systems and environments don’t usually benefit from the same level of expertise. But that doesn’t mean that audiophiles should strive for the kind of sound that professionals get. Of course, there are lots of factors that go into achieving good sound…that’s part of the hobby. How close DO you get to the original sound? I’ve been to quite a few live gigs in my time, everything from Leonard Cohen to the Levellers. Recently I got involved with the Orkney Folk Festival, and for the first time got a chance to listen to a lot of music ‘unplugged’ no microphones, no amplification, nothing but the sound direct from the instruments. I listened to a band member practising his guitar in a hall, when the band went on stage the sound from his guitar, through the amps etc, sounded totally different. If they had been aiming for the pure sound of the instruments it should have sounded the same (shouldn’t it). I have to say it was a bit of an eye opener as to what guitars, fiddles, accordians etc ACTUALLY sound like. None of the other live gigs I’ve been to did the instruments sound like this. I spoke to a band member after their spot about it and he said they don’t aim for fidellty (with the sound checks etc) they aim for THEIR sound to be the same in whatever hall etc they are appearing in. Sorry if this digresses from the original post just wanted to share my experience. Norman, this gets back to a common concept in recorded music that it should sound like the “original sound”. What is “original sound”. Is that you and a group of acoustic musicians in a nice performance space? Or is it the same ensemble amplified through a good quality PA system? Does that invalidate or lessen the value of music that is built in a studio by a producer, engineer, and musician(s)? These are very complex production issues. In general, I find that my recording produce a better sound experience than listening to the musicians playing live. I get to use microphones to get proximity to multiple sources. Something that cannot be done with your ears. But wouldn’t we have to listen on exactly the same gear (speakers/amp/room influence etc) at home, as the engineers/mixers did, when they finished the recording (assuming that the mastering did not screw up their job afterwards). When engineers/mixers use different gear (for different sessions) how are we to know, how we have to playback these different recordings at home? Most of us have only one setup! A recording ‘finished’ on one set of speakers may very well sound different on our (one set of) speakers, than a recording ‘finished’ on another set. In the ideal world all mixing (/mastering) would have to be done on the exact same set of speakers (a specified mixing/mastering procedure?)! But real life is not so! If engineers/mixers/masterers do choose the speakers from their own preference on different occations, how am I then going to handle the playback at home, if I want an accurate reproduction of their recordings??? Or asked in one short sentence: would I have to have ‘5 B&W 801 Matrix III speakers with Bryston amplification’ at home to enjoy an accurate reproduction of your recordings? You make some good points. When an acoustician or room tuning expert like Bob Hodas services a studio, he wants the speakers to output the same sound at the same level as the source input. That’s what a good monitor system is supposed to do. The final mastering house establishes the sound of the record. If audiophiles want to experience the product as the artist/label intended it to sound, the obligation is on the ultimate consumer to achieve a flat listening room…just like the mastering house. You don’t have to have B&W speakers and Bryston amplification to enjoy my recordings, as long as your reproduction system is accurate…has a flat response at your listening position. Hi Mark! Always enjoy your articles. The M2’s must be amazing! I agree that professional monitors are the way to go if you want reasonably priced, “pure” sound. I encourage you to check out the JBL LSR 4300 series, low THD (<.1%), 30- 30kHz response, and direct 96 kHz/24 bit input. The price is right, and they have (obviously) internal triamplification. For even less money, the watered down components from the M2 line in the 3 series, get 2 speakers and the sub for under $700. My kids both have a set and they sound great as well. We'd all like the M2's though. Anxiously waiting for your book and DVD! Thanks Jay. The book and Blu-ray are coming…later this summer, I hope. I work on them everyday. It’s impossible to make your living room sound like a large venue. The closest you can come is to remove the “small sound” of your room by adding bass traps and other broadband acoustic treatment. Then the larger sounding reverb and ambience that’s embedded in the recording will come through. It’s a myth that liveness in your living room is useful to make music sound large. In fact, it’s exactly the opposite! The fewer “early” reflection you have in you room, the larger and wider the music will sound. Ethan, I’m not sure I would agree that it’s impossible to make your living room sound like a large venue. I record all of my projects in large venues and capture the sound of the hall as well as the music. The sound of the mixes carry a sense of the venue…ambience, reverb, and leakage. In my studio, my living room, or a demo room at AXPONA, the awareness of the original space is very real. I’ve even had Grammy winning engineers comment on the sound of my a cappella choir project. It was on a DVD-Audio demo disc for the Acura TL. I think it was Chuck Ainley that asked what reverb unit I had used to get the sound a a very large hall. I told him it wasn’t a reverb device…I actually recorded the choir in a large reverberant space. I agree that you want to minimize the impact of early reflections and other non-linear response characteristics in your listening room. I should have also mentioned that anyone near me in western CT is welcome to arrange a visit to hear what a very well treated room sounds like. Most people – even many serious audiophiles – have no idea how much better music can sound in a room that’s properly treated. I agree. That’s why it’s so interesting to have groups or individuals come to my studio to experience the environment where my recordings were actually mixed. I bring my students to my room once a year. It is amazing to see them light up after a few moments in the sweet spot listening to one of my 5.1 “stage” mixes. I doubt whether many musicians have had this experience either. I had a very well know violist come in some years ago. He was do knocked out that he dragged the rest of his colleagues over for a visit. They’d never heard sound like that before. I keep banging on about this, but I believe that many people (and unfortunately some hi-fi manufacturers also) don’t listen to live music, or if they do they don’t understand the concept of connecting with the music – it’s all about “the highs”, “the lows”, “the mids”. I’ve very recently bought a pair of expensive, highly regarded, planar headphones (Audeze LCD 2). From all the hype I was expecting great things, but was ultimately underwhelmed when I started to listen to them. I could sort of identify their appeal – they drew attention to certain aspects of a musical performance, and certain instruments could sound impressive (i.e. electric guitar); but to my ears they didn’t present an accurate representation of the performance by any means. In short, I found the LCD 2 could actually distort (or bias) a musical performance because of its voicing and concomitant frequency balance. Comparing the LCD 2s to studio headphones such as the Sennheiser HD 25 1 II, I preferred the Sennheiser’s more honest presentation of the music. I’m not yet going to give up on the LCD 2 just yet though, I’m in the process of finding amplification which may more suit it’s characteristics; I certainly won’t do what some have, resort to: parametric equalization. I’m sorry. WHAT!? Go look at a FR curve of both of those headphones. I think it is YOUR personal preferences at play more so than the LCD-2’s FR curve. Or yes, you have some amplification issues that is causing serious distortion. 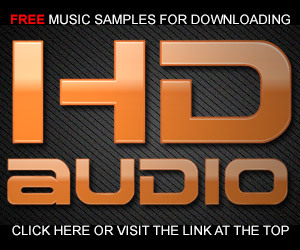 The HD 25 is a professional headpone, it’s used in recording/TV/radio studios all over the world; its used for a reason. The LCD 2 is a popular headphone on sites like Head-Fi, and BTW there are those who think both the LCD 3 and LCD 2 are boring to listen to. I got the Lyr 2 to drive the LCD 2 and whilst they are improved they still lack,eg, dynamics compared to the DT700s (through the Lyr) which are also, BTW, professional headphones. Not being a Hi-Fi snob, I judge an equipment’s ability to reproduce music on what I hear, not on price/press popularity. Hey, maybe I don’t hear like everyone else; or maybe I’m not not afraid to wonder where the emperors clothes are. Maybe in a few more months of owning the LCD I’ll be crowing about the “liquid mid-range” , I wouldn’t hold your breath though. And also, all a frequency curve does is indicate how a headphone might sound. If that curve was obtained by, eg, use of heavy damping, then a perceived flat frequency response will not make up for a lack of dynamics caused by damping down unwanted resonances. An excellent example of this is the classic speaker that was created for studio monitoring by the BBC, the LS35A: https://en.wikipedia.org/wiki/LS3/5A. Whilst measuring extremely well, due to its sophisticated crossover it was regarded as extremely difficult to drive, and was generally regarded as only useful for monitoring speech as it was un-involving to listen to. The polar opposite to the LS35A design (in the 1980’s) were Linn speakers which (by Linn’s admission) were coloured but were still very involving. A small amount of colouration was therefore judged, by Linn, to be a good compromise between perceived frequency response and dynamic behavior. I like Dr. David Griffin’s point of view about hi-fi equipment. Although it is easy to use things that are more popular or have more appealing cost, quality is always something to consider. For the most part, I do think most of the time certain brands and equipment are commonly used for a good reason. Gee, thanks for letting us know that some $20,000 speakers sound great. Back here on Planet Earth, I’ll be buying the most accurate speakers I can locate — for less than a King’s Ransom. I’m glad the $20,000 ATCs and the $20,000 JBLs used in high-end professional studios sound great. Wish I could buy them but that is not just going to happen. On a more practical level, KEF, GoldenEar (Tritons), Ascend Acoustics, and Andrew Jones’ latest venture ELAC all offer some very accurate speakers at anywhere from one-quarter to one-40th of the price of these best of the best — many other brands too of course, just mentione ones I know. It’s all relative, I guess. I can’t afford them either. 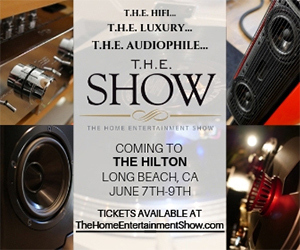 But there are lots of audiophiles purchasing Magico, MBL, and Wilson speakers that cost over $100,000!! I was thinking that $20K for a state-of-the-art stereo pair with amplification was reasonable for a high-end system. Remember, people are spending crazy thousands of dollars on power cords and interconnects! Moving to a lower notch as you suggest can deliver great sound. No problem with ELAC, B&W or others that are affordable. The concept of an “accurate” loudspeaker makes no sense (to me.) Amplifiers and other electrical devices have an input and an output that can be compared. To the extent that the two are the same shape including how the amplifier loads down the preamp it’s connected to and in turn is loaded down by the speaker it is connected to the difference except for size can be categorized as distortion anomalies. Not so for a loudspeaker system. A signal from an amplifier has only two parameters, amplitude and time. Fourier showed it could be seen as amplitude and frequency. This is very convenient for electrical engineers. Speakers are very different. They add three dimensions in space electrical signals don’t have. I think it was Olson back in the 1950s who said the ideal (presumably accurate) speaker would be a pulsating sphere. But even this makes no sense in the real world. While the sound directed at the listener might be flat and accurate, all of the reflections in real rooms would be different. Sound is absorbed to a greater or lesser degree by the room boundaries as a function of frequency. When talking about an overall recording/playback system, variables in the FR of the recording system are superimposed as well and different recordings have different spectral balances depending on many factors from the initial recording process to the final mixdown. So exactly what does accurate mean when referring to a loudspeaker? I designed a sound system where the reflected sound could be adjusted independently of the direct sound both as to amplitude and frequency. The reflected sound could be optimized for the room it was in. The overall system FR was also adjustable for each recording. How was it made “accurate?” By ear alone based on acoustic memory. How did it sound when I was still interested in it. Very difficult to adjust but accurate to my ears. However, I note that it still presented the recording with the small room acoustics of the listening room. Recreating large room acoustics is a small room is orders of magnitude more difficult and complex. Again, there is no “right” answer to it. Mark, when I say accurate…I mean accurate to the sound of my mixing room. It is a my reference. It has great equipment and acoustics. That’s what I want people to experience at home. I understand your intent which is why I’d call this flawed logic rather than hubris (no personal insult intended.) While I’ve lost interest in recordings audio equipment, and music, I have not lost interest in analyzing ideas. Therefore as one engineer to another, you must realize that to hear exactly what you hear in your mixing room, you’d have to duplicate it in every detail, not just the equipment but the room itself and, the positioning of all of the equipment, not just the speaker because everything in the room affects reflections and therefore the room’s acoustics. Unless you built more than one such room in exactly the same way yourself, the chances of that happening elsewhere are about zero, maybe a little less 🙂 Even if you were to change your speakers from 802s to M2s, by your definition your recordings optimized for the sound of the 802s would be inaccurate played through the M2s because they sound different. They must otherwise you wouldn’t be interested in them. Then you’d have another dilemma. To hear recordings mixed using the 802s accurately you’d have to listen to them through the 802s in that room while those mixed using the M2s would have to be played through the M2s. So what does accurate mean? As I see it, it means duplicating a sound field existing in one place in another place or time to be as identical as possible. At the current state of the art, that cannot be done and will likely never be done outside of a laboratory specifically designed for that purpose alone. I appreciate the comments and understand your position. I don’t disagree. I recognize that its impossible to match my room in another room…even one that would mirror every aspect. But the goal should be to come close. I’ve heard my recordings in lots of different environments on lots of different speakers. The music always comes through…but the actual fidelity or sound varies. The move from 801s to M2s would extend the frequency response but following an acoustic tuning, I would expect the in band response to be near enough to what I already know. These are goals…we need to try rather than say it’s impossible. This creates an interesting dilemma. Once upon a time, the goal of high fidelity was ostensibly to recreate the sound of live musical performances whatever that means. You say that is not your goal. You want your recordings to sound to those who listen to them like they sound to you in your mixing room. Setting aside which is better because it is irrelevant to my point, the point is, from a technical standpoint it’s exactly the same problem. Only the specific details have changed. But you’ve added a new wrinkle. While the best the listener can do for duplicating the salient qualities of live music is to attend concerts and use his flawed memory to try to duplicate what he can recall, all but a handful have no possible opportunity to hear what your recordings in your mixing room sound like. Therefore they have no reference, no possible idea of what they are supposed to be hearing and no way to find out. I’ve found this endlessly amusing. It’s like watching a vast room of cats chasing their tails endlessly with total futility. Each new product whatever it is, promises they will get closer to catching it. The amusing part is the psychology of the cats. They never give up. Each time they get something new they think they’ve gotten just a little bit closer. It doesn’t matter how much it costs or how absurd it is, they’ll go for it. From green felt tip pen ink and magic pebbles to $100,000 three watt amplifiers. And there are endless battles over what the best strategy is for catching their tails. But I think I’ve come to a point where I’m no longer interested in watching all this. It’s become tiresome for me. It never really changes. There is no dilemma caused by having a calibrated sound system in my studio. You insist that “the goal of high-fidelity was ostensibly to recreate the sound of live musical performances” played or plays a role in the recordings that are produced and released. I don’t think that’s ever been the case. Sound capture has always been its own creative activity. Just as other technical professionals, audio engineers provide a bridge between the creative talent and the rigors of sound recording. It’s not only that reproducing the sound of live event is a fruitless exercise, it’s also pointless because of the endless compromises that are required to create an album (some technical and many market based). I enjoy attending live performances although I don’t do it as much as I would like to these days. However, I find live performances compelling for non-sonic reasons. I don’t go to Disney to hear great sound…because in spite of the tremendous acoustics of that venue, it doesn’t provide the close intimate sound that I prefer. It is the magic of the performance that inspires me to go. If I want to really get into the music, I actually prefer to listen to one of my recordings. I’ve been on the stage when John Gorka or Jennifer Warnes were performing and if not for the technology of microphones and amplification, the experience would be completely wrong in terms of balance and details. Recordings allow me to get things just right. It’s not necessary for listeners to come to my room to establish a reference. The reference is knowing that the frequency response is flat, that the dynamics are in tact, and the balances are correct. What they need to have to hear what I want them to hear is a space that is good enough, equipment that is good enough and calibrated, and good listening skills. To follow your model, it would be necessary for every listener to visit and experience ever venue from every seat. This is obviously ridiculous. Standards organizations have been reasonably successful with video and movies, why can’t the same mentality be directed to audio?